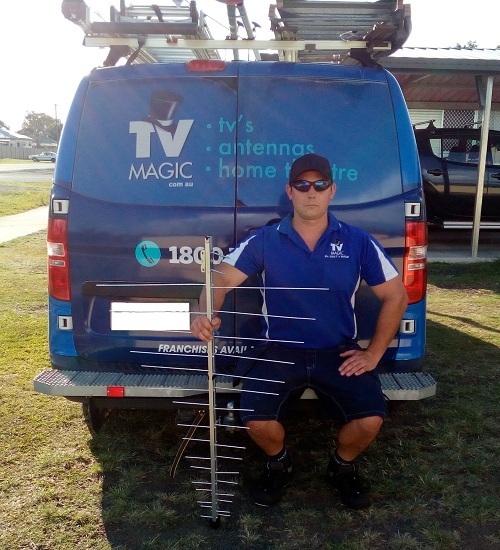 Places Jotham has done professional Antenna Installation in: Brisbane 5 Years, Melbourne, Gold Coast, Toowoomba and now Northern Rivers, NSW where he was born & raised. Jotham Outerbridge now resides in Casino, NSW and services the Northern Rivers region including Ballina, Byron Bay, Lismore & Casino. If you live in Lismore, Casino, Ballina, Bangalow or in the Northern Rivers call TV Magic on 1800 TV MAGIC to book a time for Jotham to come out for a free quote.